In the wealthiest country in the world, poverty is still taking a devastating toll on millions of people of all races. Fifty years ago this week, the Rev. 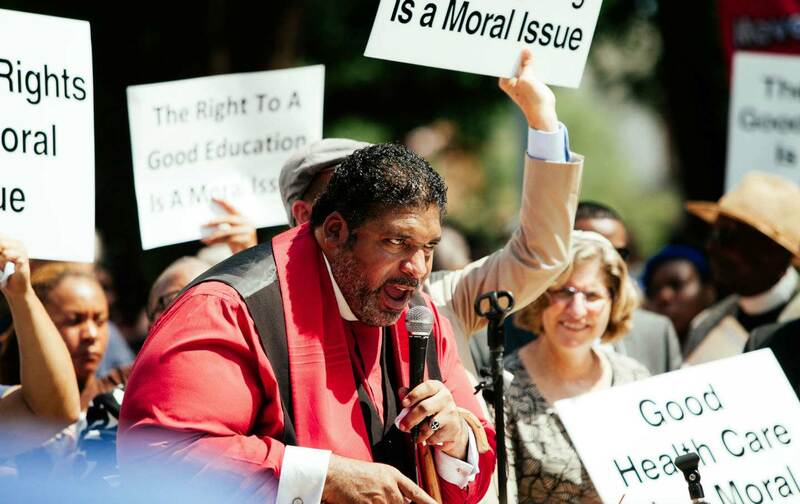 Martin Luther King Jr. and the Southern Christian Leadership Conference announced the Poor People’s Campaign. Calling for a cross-racial coalition of Americans living in poverty to demand better living conditions, King described the need for the campaign in terms that feel particularly timely in the Trump era. “All of us can feel the presence of a kind of social insanity which could lead us to national ruin,” King declared. Half a century later, as Republican leaders ram through a ruinous tax bill that will exacerbate economic inequality, a coalition of faith and social-justice organizations is bringing King’s vision into the 21st century. Led by Rev. William J. Barber II and Rev. Liz Theoharis, the Poor People’s Campaign: A National Call for Moral Revival is planning 40 days of coordinated action in the spring of 2018 at statehouses across the country. Like its predecessor, the modern Poor People’s Campaign is focused on what King described as the “triple evils” of racism, poverty, and militarism—with the addition of ecological devastation, a global crisis that disproportionately affects people living in poverty. A new report from the Institute for Policy Studies details why it’s so critical at this moment to not merely commemorate the anniversary of the Poor People’s Campaign, but also to reengage with King’s crusade to organize and build the power of people who are too often marginalized in our society.